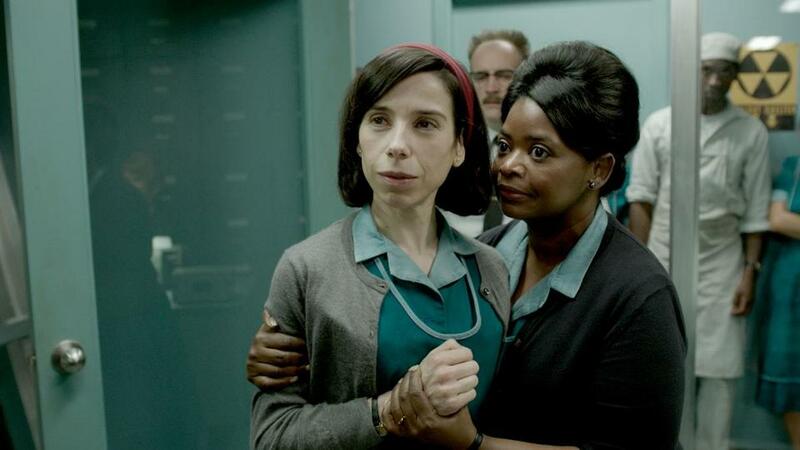 Sally Hawkins and Octavia Spencer in Mexican director Guillermo del Toro’s “The Shape of Water.” The film is this year’s top Oscar contender, with 13 nominations. There is a growing attraction to our wine and our cuisine – and this goes well beyond the $1.5 billion worth of Mexican avocados consumed in the United States or the $39 billion Americans spend in Mexican restaurants every year. The fascination with our traditions, architecture, painters, music, and movies continues growing. From Frida Kahlo and Diego Rivera to Guillermo del Toro and Dr. Atl, our artists are the focus of great attention. The 90th Academy Awards offer a good excuse to talk about our cultural affinities, since Mexico has taken a central place at the Oscars in the last few years. Just consider Pixar’s “Coco,” the Mexican-themed animated film that has been nominated for two awards. According to The Guardian, the film draws inspiration from the Day of the Dead tradition in that “it is an empowering, family-friendly folk myth that puts us in touch with our heritage.” In “Coco,” the celebration of family and heritage transcends borders. As film directors and pioneers of contemporary Mexican cinema, Alejandro González Iñárritu, Alfonso Cuarón, and Guillermo del Toro have brought fresh views to Hollywood. The movies that they directed or produced have dominated the Academy’s nominations and top awards. This year, del Toro’s “The Shape of Water” has been nominated for 13 Academy Awards — one short of an all-time record — including best picture and best director. What is it about these Mexican directors that makes them so relevant today? Could it be that their upbringing south of the border offers new aesthetics and unique perspectives to Hollywood? Or could it be the paradox in stories they tell: that they are at once foreign and unusual, but also compellingly familiar in their humanity? 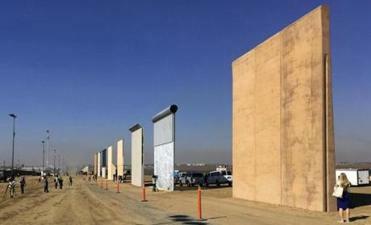 The wall reared its hypothetical 30-foot head again in discussions about a visit by the Mexican president. Talking about the Day of the Dead tradition, in an interview with The Telegraph, del Toro has said, “You walk life side-by-side with death, and this tradition, curiously enough, is about life. It’s an impulse that’s intrinsic to the Mexican character.” About “The Book of Life,” the 2014 fantasy animated comedy del Toro produced, he said, “I wanted to show the Mexico that isn’t out of a tourist guide but has the explosion of light and sound you get when you go there.” There seems to be a growing obsession with the explosion of light, color, sound, and tastes coming out of Mexico. Millions want to come and see it for themselves. Mexico is the top travel destination for Americans abroad. In 2016, 31 million US residents travelled south of the border — Canada enjoys a distant second place, with 14 million visits. More than one million Americans reside in my country, some as expats living in our noisy cosmopolitan capital, Guadalajara, or Monterrey, and some retiring in quiet places such as San Miguel de Allende or the Lake Chapala region. In fact, Mexico is the country where the most Americans live abroad. In the words of the renowned chef and world traveler Anthony Bourdain, “In years of making television in Mexico, it’s one of the places we, as a crew, are happiest when the day’s work is over. We’ll gather round a street stall and order soft tacos with fresh, bright, delicious tasting salsas — drink cold Mexican beer, sip smoky mezcals, listen with moist eyes to sentimental songs from street musicians. We will look around and remark, for the hundredth time, what an extraordinary place this is.” Perhaps you should come and experience this for yourself. Fostering a productive relationship between Mexico and the United States begins with the acknowledgment that we have vast and strong cultural affinities, that our people are more similar than media would have us believe. Both Mexicans and Americans cherish individuality and self-reliance, and are willing to fight for freedom. We believe that through hard work we can achieve anything. Our people are resilient and tough before adversity. We are eager to help those in need and are quick to come together when our communities face emergencies or struggles — just consider the Houston floods after Hurricane Harvey or the Mexican earthquakes last September, when people of all walks of life came together to assist those in need. The things that we share, good and bad, grow every year. Presidents will come and go, and our countries will share a border for centuries to come. We all gain from a constructive engagement between our two nations. As we learn in films like “Coco” or “The Shape of Water,” we are stronger if we face our common challenges and opportunities together. We have much more in common than we can imagine. Let us build on that. Ricardo B. Salinas is chairman and founder of Grupo Salinas.